Black Friday ads are slowly being released so of course as a shopaholic bargain hunter I had to look through and see who was having the best beauty sales. I will be updating this post as more ads are released and more deals come to my attention. So follow me to stay up to date. (My social networks can be found in the sidebar.) I added a convenient Black Friday Deals button to easily locate this post. Also if you are not an Ebates member, do yourself a favor and sign up (link can also be found in the side bar). You'll get a free gift card after your first order plus cash back. There was only one beauty deal featured in the ad. They are offering free shipping for the holidays with no minimum purchase so if these become available online I'll be sure to update you guys. View those items HERE. * limit 2 ^ +UP Rewards make this item FREE! FREE Shipping on ANY order. Happy Thanksgiving! Coupon Code: THANKSFS. Valid 11/27 Only. FREE shipping on ANY order + 30% off your $30 purchase Coupon Code: BLACK30FS. Valid 11/28-11/30. 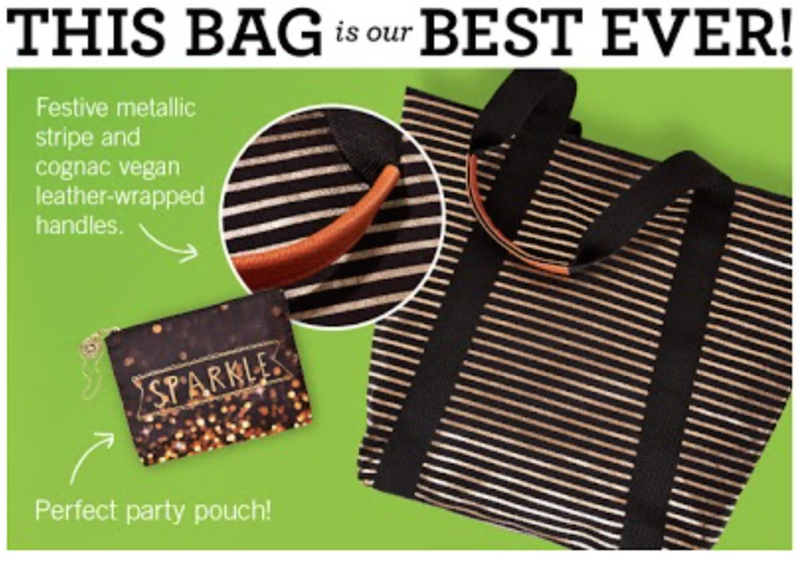 VIP Black Friday Tote $20 with any $40 purchase. 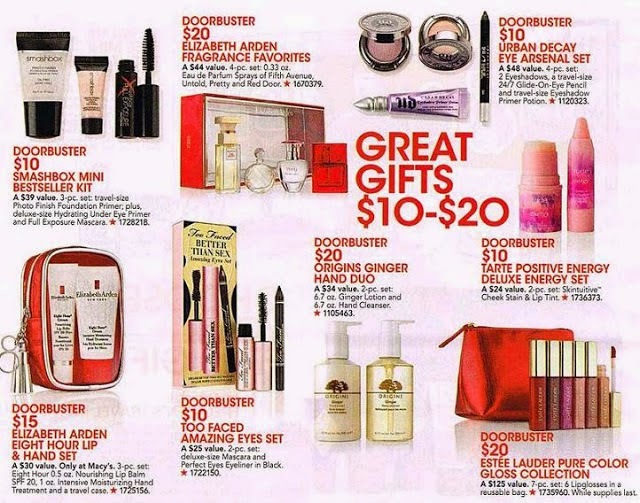 Valued at over $100 and features 5 of their best products: Holiday Wish List 3-Wick Candle, A Thousand Wishes Body Lotion, A Thousand Wishes Fine Fragrance Mist, Winter Cranberry All New Hand Soap, and Forever Red Mini Eau de Parfum. 20% off your entire purchase (this includes beauty purchases) with in-store coupon. Arrive 11/28 between 6am and Noon to receive one. View full ad here. Complimentary Birchbox for every $60 you spend on subscriptions with code BOXME. 25% off full-size products with code FRIDAY25. Shop here. The sale has already started and ends 11/30. Shop now! 30% off any order. Use code: HOLIDAY30. 40% off on any order $50 or more. Use code: HOLIDAY40. Special holiday sets are already on sale here, which include a free Monoi Repairing Leave-in Conditioner Gift with each set. All offers valid until 11/30 at Midnight ET. In-store and Online. Free shipping on all orders. Shop the sale HERE. 50% off site wide through 12/1. No code needed. 20% off site wide. Sale valid now through 12/1. 50% Off our Best Sellers with any purchase of $25 or more! Enter code BESTIES at checkout. Offer valid 11/19 - 11/26/14. Shop now! 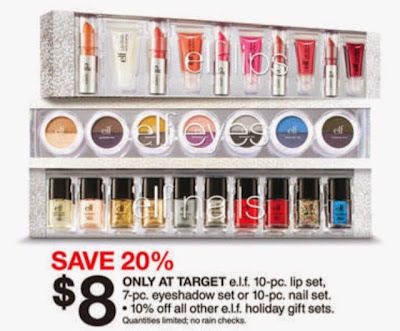 Starting at 9AM EST 11/27 - the Dazzle & Delight Collection for $30 - originally $90! No promo code required. Valid 11/27- 11/28. Shop here. Buy One Get One 50% Off, plus receive a Free Limited Edition Kabuki Brush with any purchase of $30 or more. Enter code BLACKFRIDAY at checkout. 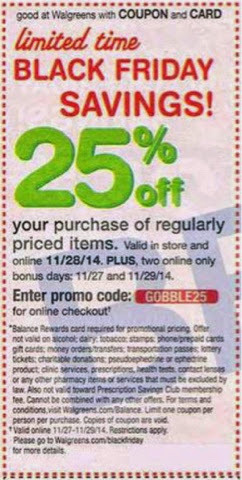 Valid 11/27 - 11/30/14. Shop this deal here. The only cost is $3.99 for shipping. You will be enrolled in this monthly service at $24.99/month or simply cancel and keep this box for free. This deal is available now! 40% off site wide. Use code: LAGBLACKFRIDAY40. All MUFE boutiques will be offering massive discounts on the brand's best selling items. Valid on Friday, 11/28 ONLY! Limit one offer per customer. Code valid 11/28 only. Deals run 11/27-11/29. Click HERE to view the full ad. 60% off all craft storage, rolling carts and totes including the "Melmer". I know lots of ladies use these for nail polish storage. This is a doorbuster so arrive early. Valid 11/27-11/28 only. Stores open 4pm on 11/27. Also included is Michael's version of the ever popular Ikea Alex for makeup storage. View here. Lucky California natives can shop their Burbank store Friday for Black Friday sales as they will be closed on Thanksgiving. First 50 customers get 5 brushes free! Get 30% off site wide 11/28-11/30 with code PURBF14. Free worldwide shipping on all orders with code BF2014. Valid 11/27-11/28. 25% off sitewide with code HOLIDAY14. Free everyday shipping and free samples with all US orders. Valid now through 12/1. 25% off site wide (includes limited edition sets rom the 2014 holiday collection) with code FRIDAY. Valid now-11/30. 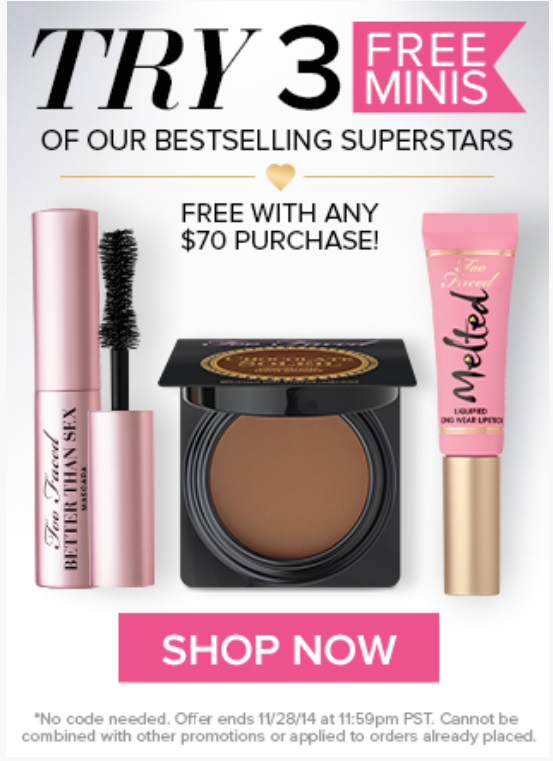 3 free minis of best selling products with any $70 purchase. 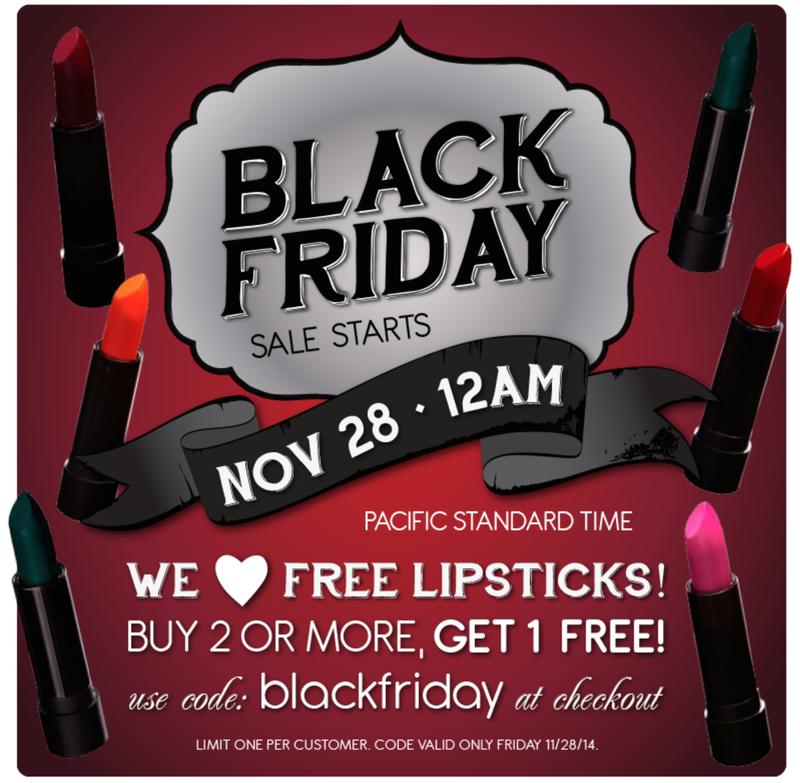 Valid until 11/28 at 11:59pm PST. No code needed. Shop now. 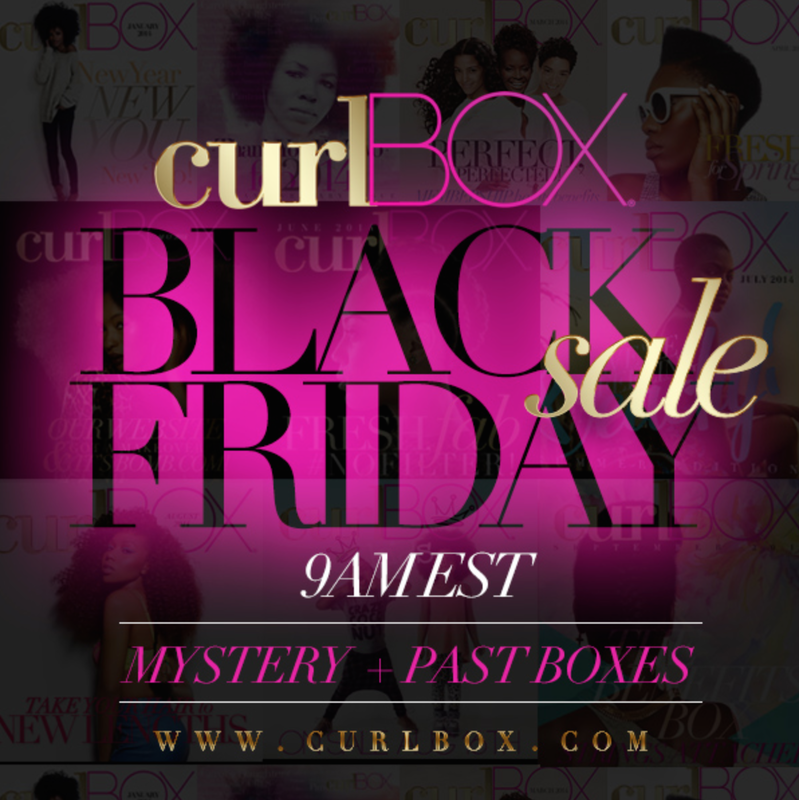 View the rest of the Balck Friday beauty deals HERE, which are live now! Use code BLACKFRIDAY to get $20 off. This is a natural hair must have handheld steamer. Google the many ways you can use this for your hair. Sales start online Thursday at 7pm CST and in stores at 8pm. Hours may vary. 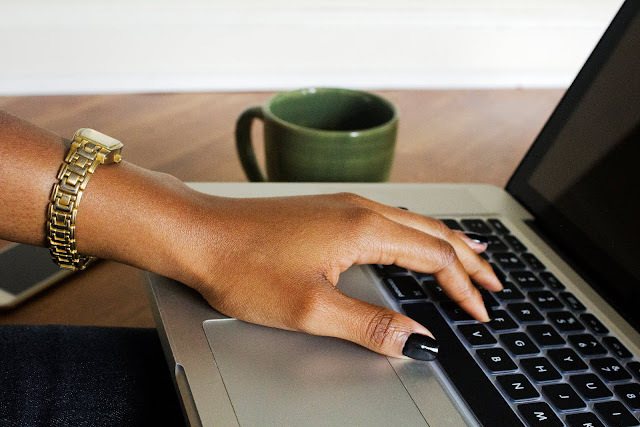 View CYBER MONDAY deals here.